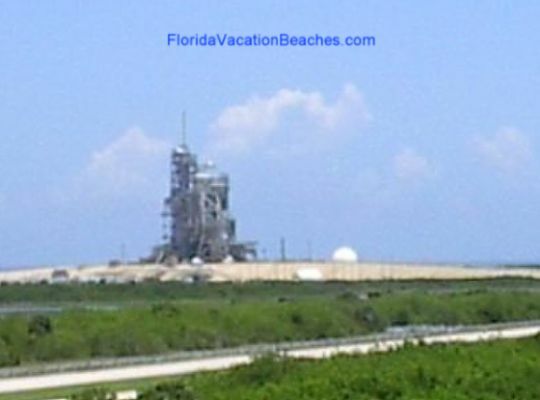 Note: The many photos of Florida Vacation Beaches and Kennedy Space Center on this page may cause them to load slow if on dial-up connection. 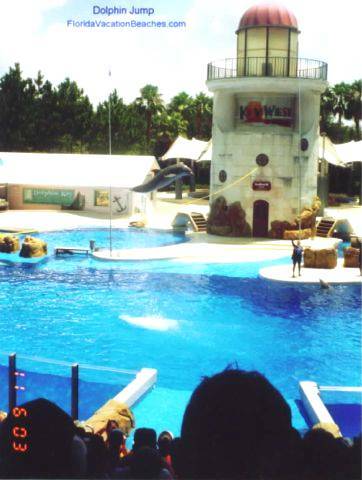 All Pictures here are copyrighted, but see below for free use instructions. 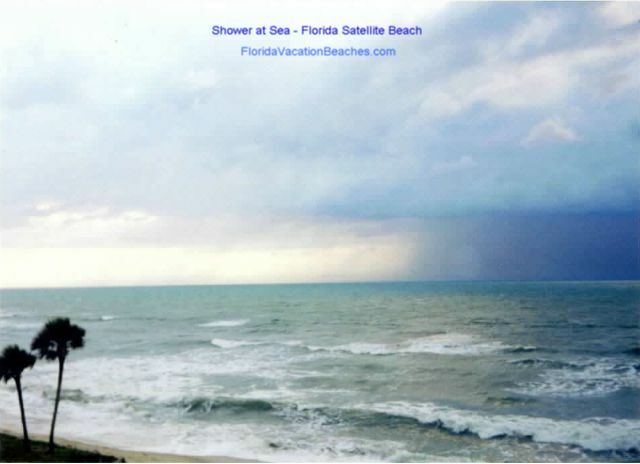 All pictures on this page are smaller file sizes to help load faster - see bottom of page for some free larger file size printable Downloadable Wallpaper & Beach Screensaver Versions -- even some high resolution Photo versions. 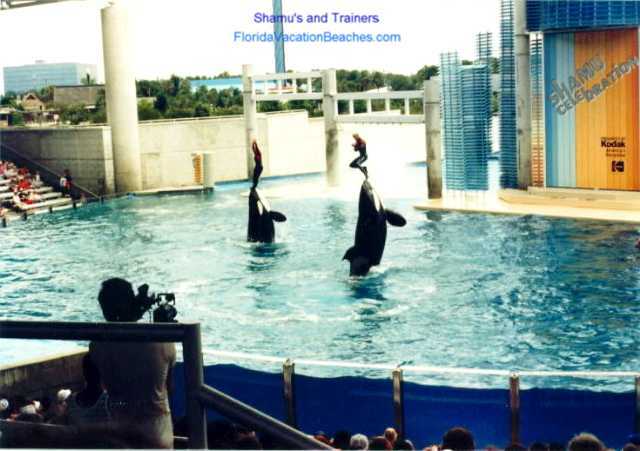 & Day trips to area Attractions below. Pictures are an "assemblage" from Several Vacations to Florida Vacation Beaches and Ocean Front time share Resorts at Cocoa Beach and Satellite Beach, FL. 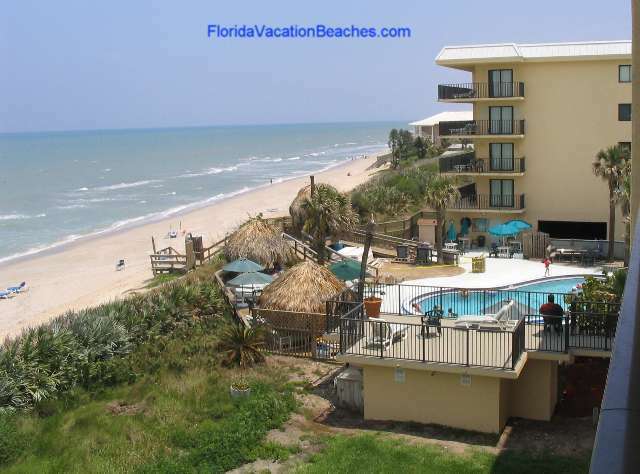 Las Olas Beach Club Oceanfront RCI Time Share Resort - Satellite beach, Florida. 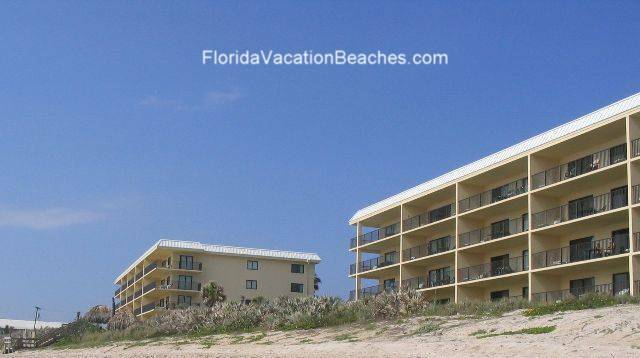 -- especially if have the kids and need the space of a large 2-bedroom Oceanfront Vacation Condo! 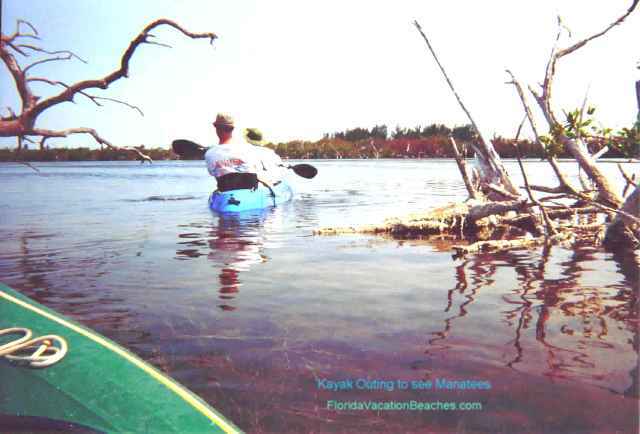 Kayak trip on Indian River to see - and sometimes even "pet" - the manatees is a fun afternoon outing close by to Satellite Beach. Kayaks are easy to paddle. or flash pictures when watching them. 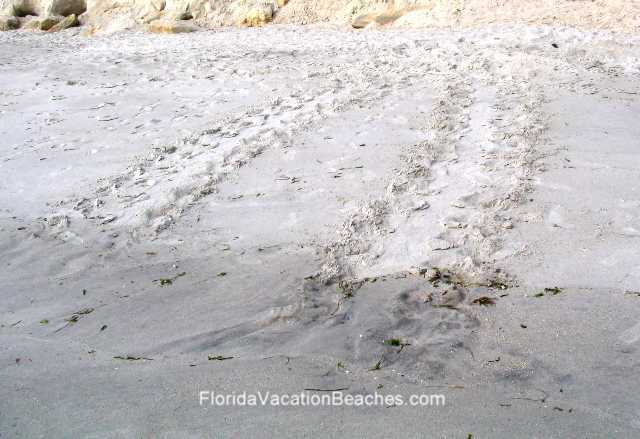 Many years ago, we were lucky enough to see a mother Loggerhead Sea Turtle laying her eggs on the beach on a bright night when could see fairly well and we had the boys. 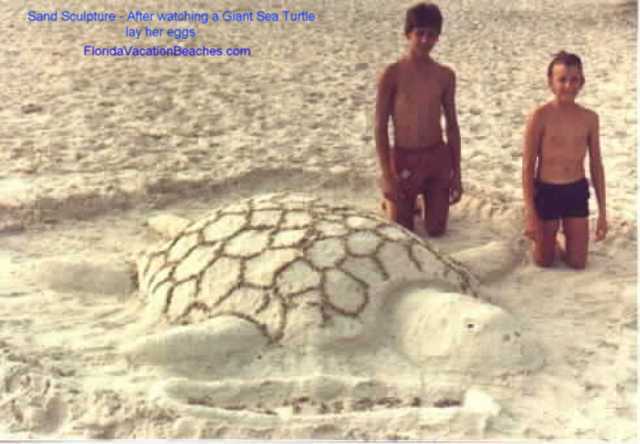 They thought it was amazing and built a giant "life size" sea turtle in the sand a couple of days later. It got a lot of attention and even the beach "smoother" tractor guy went around it for several days. the giant turtles travel to get back to their place of birth to lay eggs. 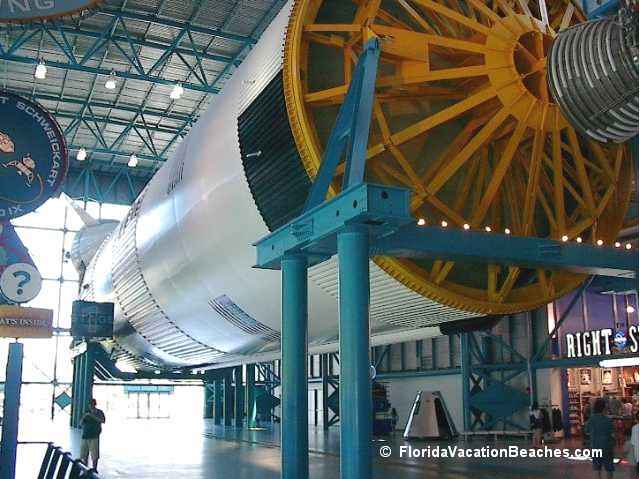 Day Trips North to Cape Kennedy Space Center and Merrit Island National Wildlife Refuge. 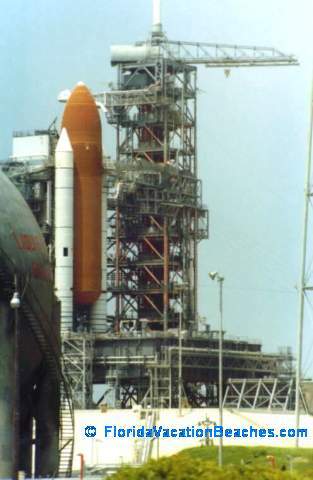 version of shuttle on launch pad from a distance. + even a few area favorite waterfront restaurant "Reviews"
To Merritt Island National Wildlife Refuge US Fish & Wildlife Service Web Site - (Refuge is Just North of Cape Kennedy) - Don't miss the "Virtual Tour of Black Point Wildlife Drive" Link near bottom of page. close to the launch pad on the tour. 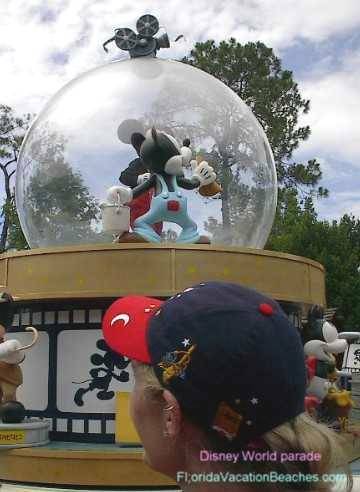 Generally they keep you much farther away from the Launching Pad and the rockets being prepared for launch these days. Cape Kennedy - "football field long"+ Saturn V Rocket is laid out horizontally with stages seperated for viewing in large NASA Apollo/Saturn V Exhibit Center. Interesting & educational. 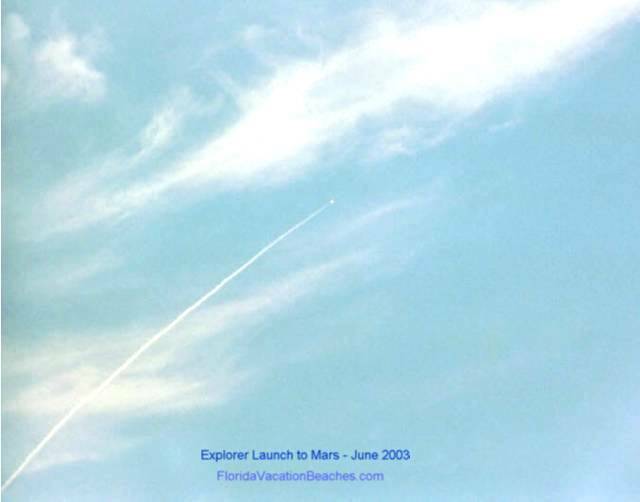 Watched this launch of Explorer Rocket to Mars from beach in front of Las Olas - Satellite Beach Resort in June of 2003 with Kids and Grandkids. Interesting to hear the big noise of launch start about a minute after we could see the launch trail going up. -- and count on fact that they didn't miss lunch! 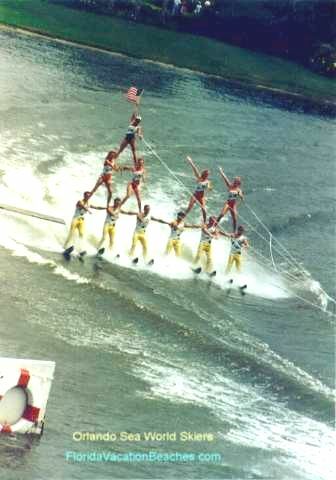 Getting that many people up in the air at same time is a big feat - also takes a tow boat with a lot of horsepower! 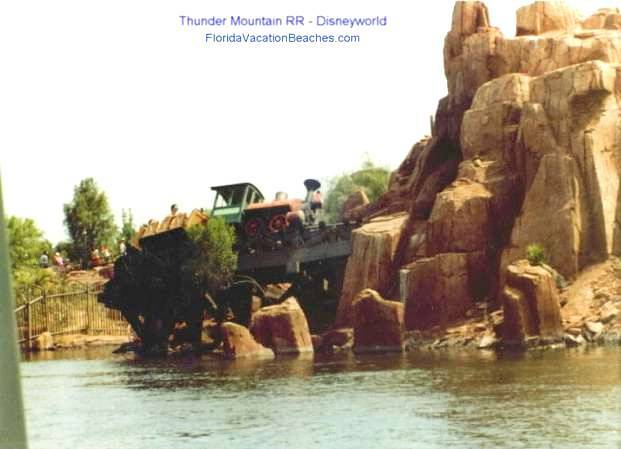 Family Beach Vacations. 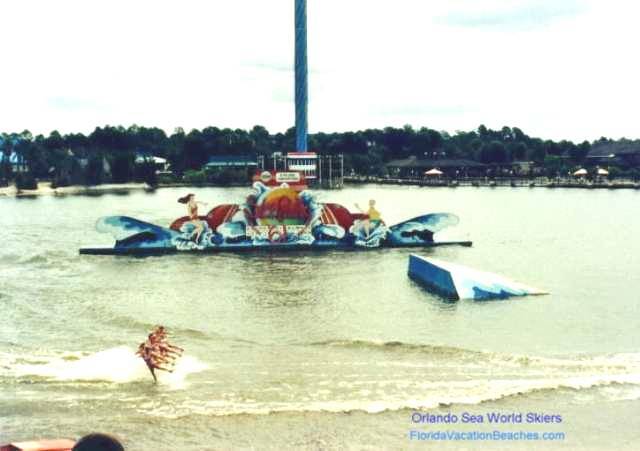 Great beaches and local area + Orlando Attractions - something for everyone. there with the breeze off of the ocean. 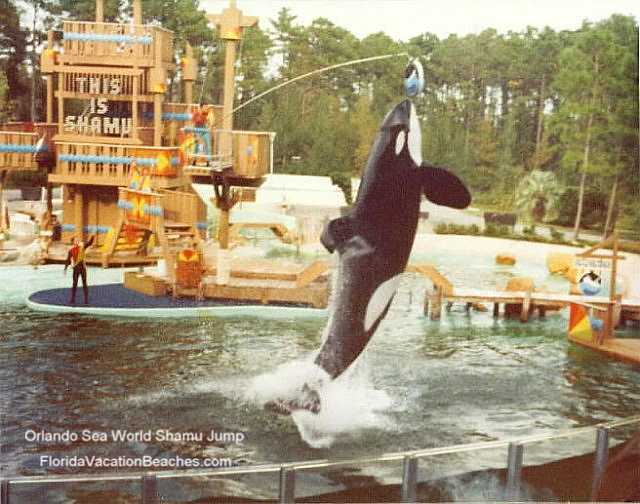 St. Augustine Florida Beaches & Attractions Pictures page - St Augustine FL Attractions & Beaches Info + free screensaver pictures page - with links to High Resolution Downloadable Photo versions. 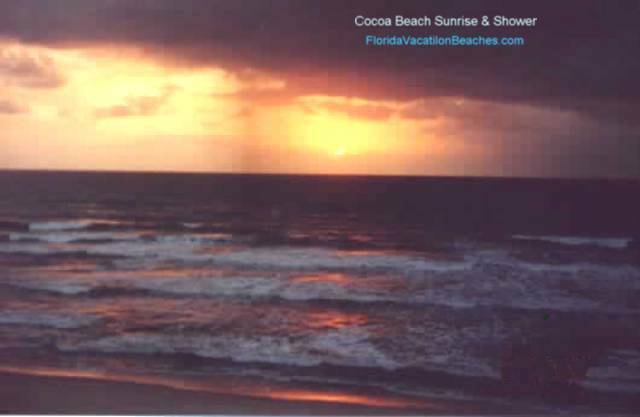 Oceanfront Florida Vacation Beach Rentals Page - Cocoa Beach, Satellite Beach, and Cape Canaveral Resort and Timeshare Rental Reviews, Deals, and Tips + direct links to several Oceanfront Resorts and St Augustine FL Rentals. To our Western Nebraska Travel Vacation Pictures web page about a Road Tour of the Nebraska Sandhills and Panhandle including Scottsbluff area Attractions & the Niobrara River area. 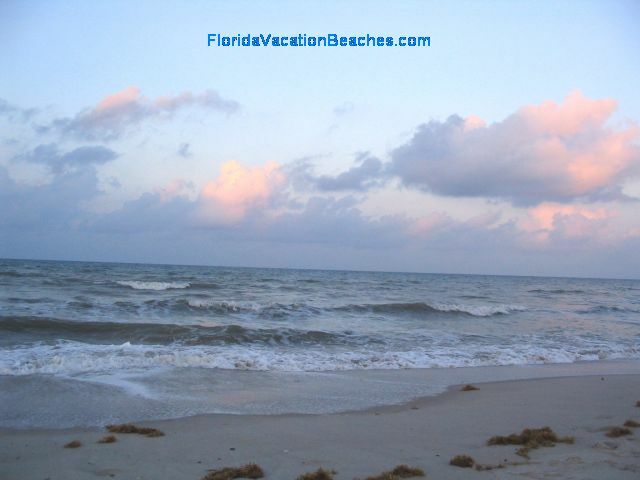 To Top of this Page - Eastern Florida Vacation Beaches - Florida East Coast Vacations - Florida Cocoa Beach and Satellite Beach + Cape Kennedy - Photos and comments from several family beach vacations to Eastern Florida Vacation Beaches & nearby Florida Attractions.